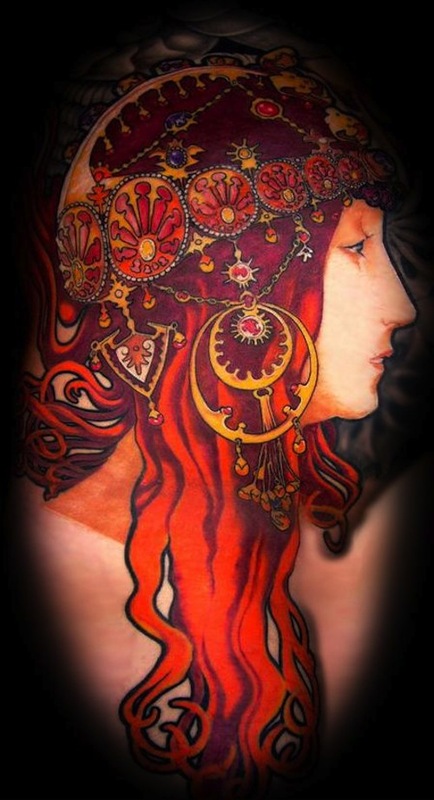 Look at this intricate and colorful upper back tattoo using elements from Alphonse Mucha’s famous work. 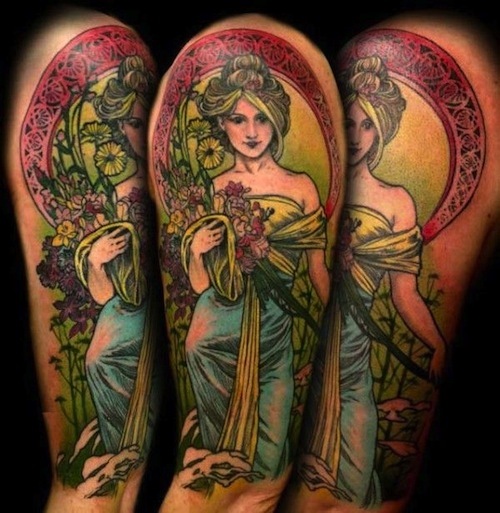 Alphonse Mucha’s work is often vertically composed, perfect for a full or half sleeve. 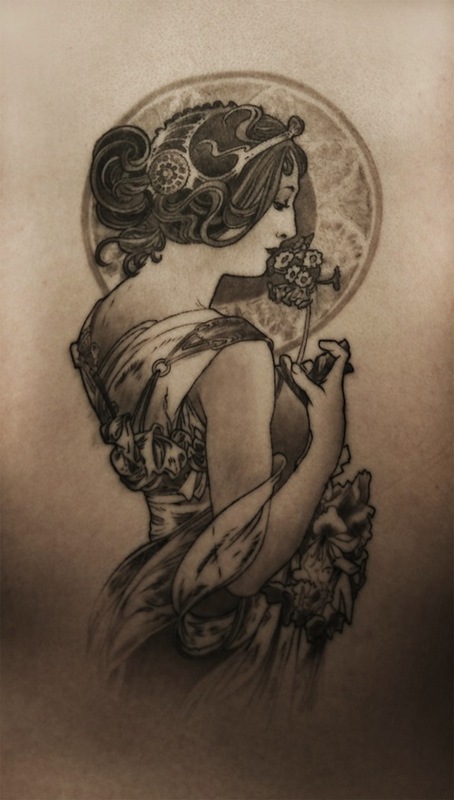 Here’s an interesting take on Alphonse Mucha’s famous artworks. 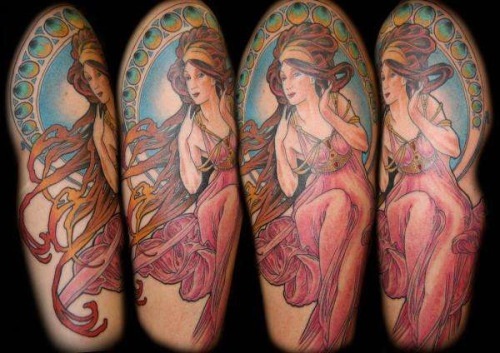 Taking a classic piece of art and turning it into a Polka Trash style tattoo makes a great design. 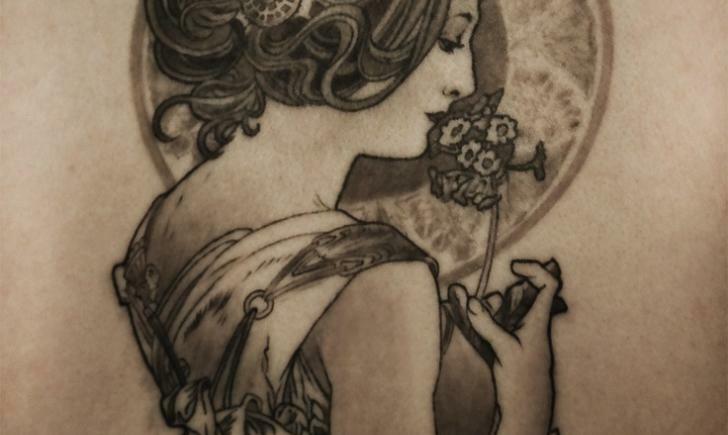 This black line rendition of Mucha’s work looks like pen and ink work. 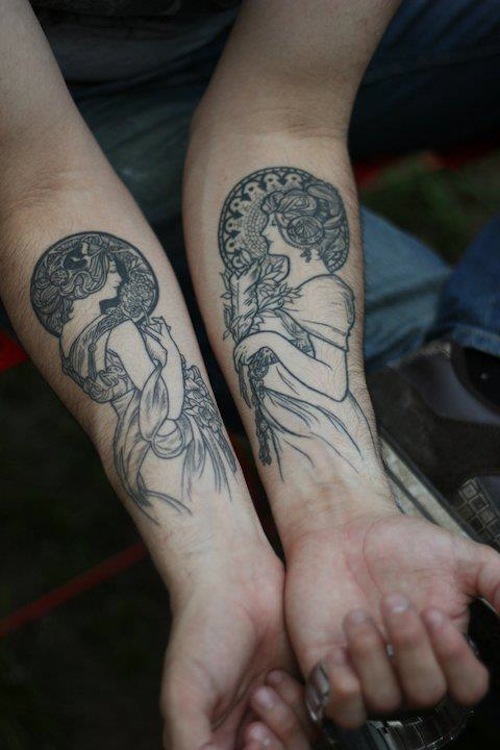 It makes for a perfect set of tattoos on each forearm. 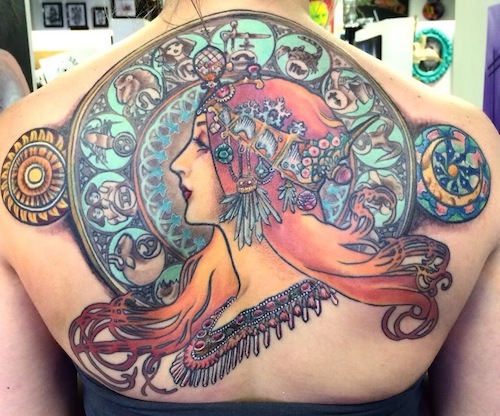 Every piece of art by Mucha makes for a fantastic tattoo. 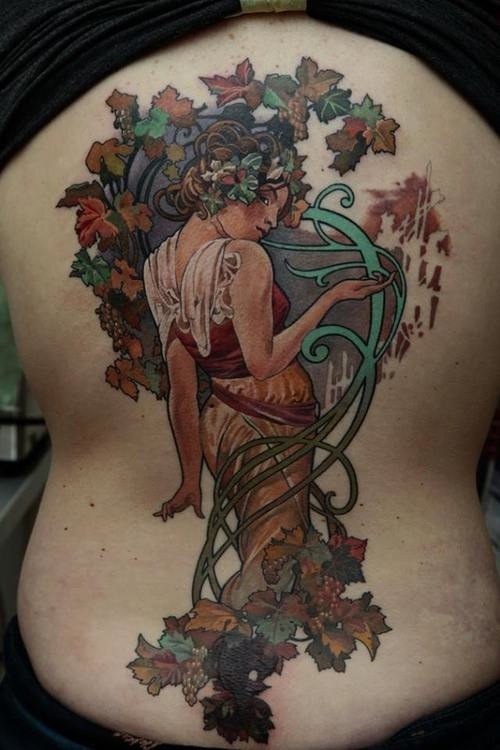 The subtleness of the line work and tone of this tattoo perfectly captures the feeling of Mucha’s work. Sometimes Mucha sketched flowers and other objects instead of figures. 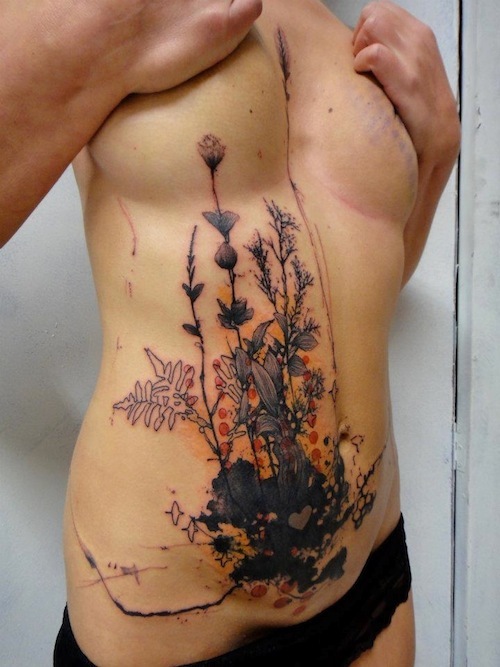 Here’s a perfect example of some botanical artwork he did. The ornaments he created for his characters are amazingly detailed and beautiful.